E.B. Henderson, grandfather of Black basketball. Born in 1883 in Washington, D.C., Henderson brought the game of basketball to the African-American community. He learned to play the game from its creator, James Naismith, while attending Harvard University’s sports and recreation program in 1904. Henderson envisioned basketball as a way for African-American youth to attend college and eventually find a way to improve their lives. After attending Harvard, he returned to Washington and formed basketball teams, leagues and officiating organizations there and throughout the East Coast. These were African-American leagues, as the early game of basketball was racially segregated. E.B. Henderson, a Howard University graduate (B.A. 1930), formed a groundbreaking league in Washington called the 12th Streeters that played at the African-American YMCA on 12th Street N.W., in the Shaw neighborhood. 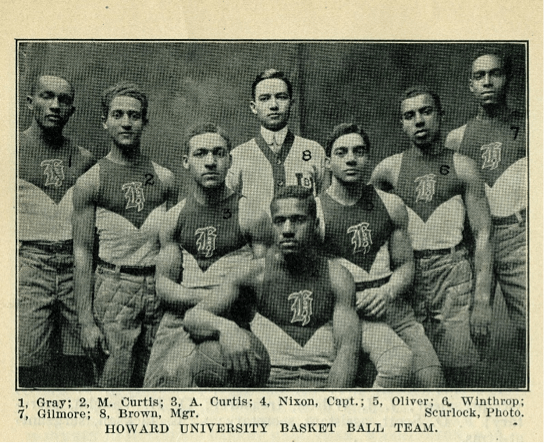 The team went on to win the Colored Basketball World Championship in 1910. The 12th Streeters included Charles Drew, who became a famous doctor whose research on blood plasma and discovery of plasma storage methods saved lives. E.B., who died in 1977, is considered the “Grandfather of Black Basketball” because he introduced the game to African-American men, women, boys and girls as a way of empowering them to achieve. After four years of lobbying by Ed and Nikki Henderson, in 2013, E.B. Henderson was inducted posthumously into the Basketball Hall of Fame in Springfield, Massachusetts. 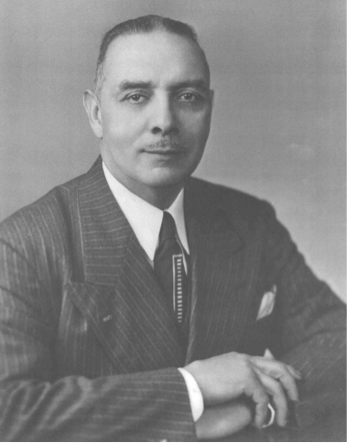 The Edwin B. Henderson papers and manuscripts are held in the Moorland-Spingarn Research Center at Howard University. Assistant Professor Beckford would like to see Henderson recognized for his contribution to the Howard University Athletic Department as the university celebrates its 150th anniversary this year. “Howard’s basketball team owes a debt of gratitude to Mr. Henderson,” he said.